Hi Lilli! That is a nice geek outfit, and it's very different from all the outfits we are used to see at the FW. This type of jeans have also seemed very cool to me, but somehow I don't know why they don't look ok on me. Otherwise, the trench coat is a killer and the whole combination is very cool! Have a nice Monday, Lilli! 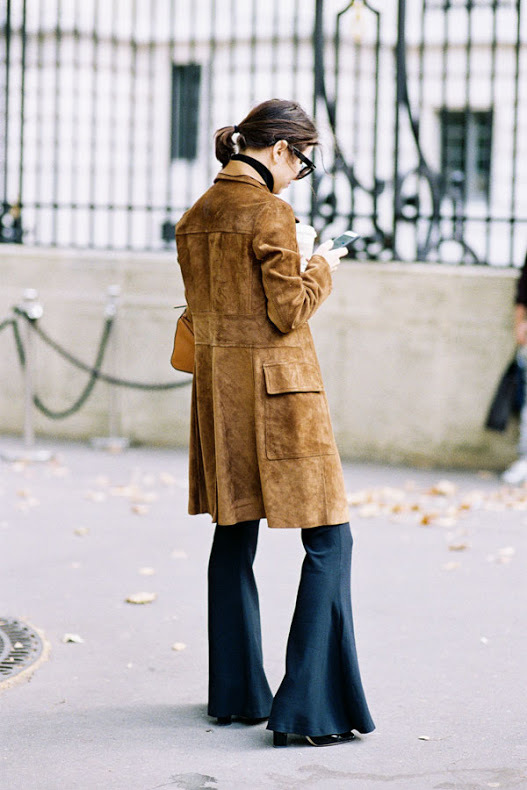 HI Lilli, wearing flare jeans and a suede coat are so cool! It's my favourite look during fall. Of course, wearing it with boots are just the perfect match. Happy Monday! Looks amazing! Great Job Lilli! Beautiful coat! Have a beautiful week cara! Grazie dei tuoi consigli cara! I absolutely love the look! I was very much into it when there was a 70s revival in the 90s. Nice to see it back in fashion. è un bel look, mi piace tantissimo la borsa! 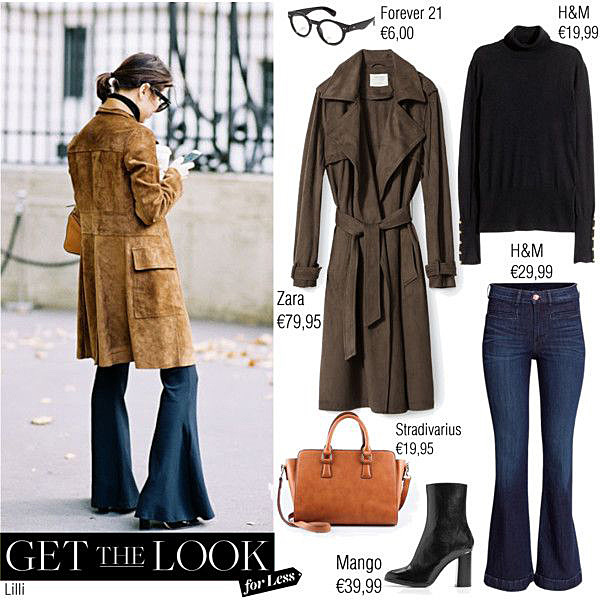 This look has the perfect mix of retro and boho charm and you replicated it beautifully Lilli! I especially like the coat and boots you choose! Have an amazing week my dear! Adoro questo look, lo indosserei molto volentieri! Molto bella la selezione, mi piace molto il trench! Troppo cool questo look '70's style!!!! Mi piace come lo hai riprodotto ed è stupenda la tua nuova foto del profilo! un look che indosserei praticamente ogni giorno! Mi piace moltissimo. Al soluto Lilly lo hai ricreato alla perfezione anzi meglio dell originale..
Stupenda in particolare la borsa. You already know my love for flare jeans so of course my attention instantly went there! I really like the cutting of the H&M jeans, might just need to pick it up for myself! Love, love, love the flared jeans. I love the color of the trench you chose Lilli and OMG'd those boots are everything. Thanks a bunch Colleen! You should get this trench, would be so nice on you! I could definitely wear this outfit! Che belle proposte! Un bacio tesoro. Magnifica ispirazione cara Lilly ... Questo outfit lo vedo perfetto ... Sia per il clima sia per le tendenze attuali! bellissimo il trench, adoro gli stivaletti e quegli occhiali mi fanno impazzire!! il trench è proprio uno spettacolo! Ecco, bisogna dire che questa è una stagione fortunata per chi ama il vintage. Questo set, che hai proposto con pezzi abbordabili e splendidi può essere riprodotto anche se con un pò di fortuna abbiamo ereditato qualche pezzo dalle nostre mamme o nonne che sia. In ogni caso il trenche di Zara è favoloso! mi piace tantissimo il look di base e poi adoro gli stivaletti che hai proposto in alternativa!